Mitsubishi is offering savings of up to £5000 off the price of a new Shogun, as part of a range of summer deals. The offer is applicable to the entire Shogun range, with a £3900 discount off the entry-level SWB SG2 manual and £3900 off Warrior variants. A saving of £5000 can be made on the range-topping LWB SG4 automatic. 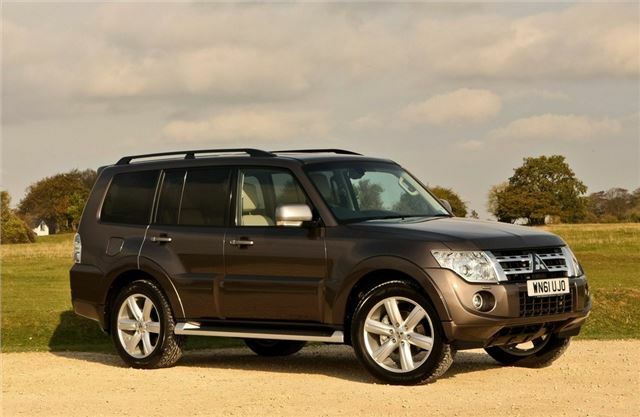 The Mitsubishi Shogun is offered with zero per cent APR, with the option of spreading payments over a negotiable period to reduce the monthly fee. ASX crossover buyers can take advantage of a 50/50 finance deal, with the option of paying half up front and then - after 18 months - choosing between buying the vehicle outright, part-exchanging it for a new model or simply giving the car back and walking away. There are also summer savings for Motability Scheme customers, with free rear parking sensors on all models and zero advance payments on all Mirages and 1.6-litre ASXs. Anyone with an invoice for aftersales work carried out at a Mitsubishi dealer can enter a national draw for £1000 worth of Marks and Spencer vouchers. To enter, simply visit Mitsubishi's website and enter your details and location of the dealership. Please note, you’ll need a copy of your invoice to claim your prize.